From the Editor – Will We Have a Boom in Mergers & Acquisitions? I have greatly resisted the temptation to predict a boom in merger & acquisition activity in the green industry. I have believed that while there are many positive forces at play, prevailing valuations will not trigger a boom and that financial discipline among buyers will make a sharp increase in valuations highly unlikely. While that financial discipline is very real, we are beginning to see some serious enthusiasm for acquisition opportunities. As the year winds down, the trends that developed earlier in the year are continuing. The marketplace is more active with both buyers and sellers than in a number of years.  The level of private equity interest in the industry is at a high level as a number of firms are seeking good opportunities in landscape services and related sectors. We are seeing some signs of life in the lawncare sector as well. A number of people in the industry are considering roll-up strategies in different sectors. There are several large pending transactions, which include private equity-backed firms seeking an exit. With all of this activity, we are still expecting to see some details of the Brickman/ValleyCrest integration plan soon, which may stimulate additional activity as companies take advantage of opportunities to strengthen their competitive position. Will this all lead to a boom in mergers & acquisitions? I still think not, but we are likely to continue to see higher levels of activity for the foreseeable future. Minnesota-based Reliable Property Services has formed a strategic partnership with The Lawn Ranger of Minnesota, acquiring its landscape maintenance business. Austin-based planning and landscape architecture firm RVi has acquired Dallas-based NJB. Chicago-based Alfred Benesch & Company (Benesch) has merged with Site Solutions, a Charlotte, North Carolina based site planning and landscape architecture firm. Scotts Lawn Service, a unit of The Scotts Miracle Gro Company has agreed to acquire Indiana-based Action Pest Control. This is Scott’s long-awaited platform investment in pest control. Scott’s operates its pest control business under the Ortho brand. Please add us to press release distribution lists. You already know that your company’s revenue and profits play a big role in how much your business is worth. Do you also know the role cash flow plays in your valuation? In an interesting development, former Brickman executive Mike Bogan has been named CEO of TruGreen Landcare. Bogan is one of the most experienced and successful executives in the industry, excelling in both operations and acquisitions. TruGreen Landcare is owned by private equity firm Aurora Resurgence. This appointment can be interpreted as a signal of Aurora’s intent to build TruGreen Landcare into a stronger and more substantial player in the landscape services industry. I met Mike while working on an acquisition with Brickman. Aurora could not have made a better choice. This is another in our occasional series of articles about former clients who sold their businesses and what they are doing in their next life. Don Hudson, CEO of Wildlife X Team. Don Hudson is owner and CEO of Wildlife X Team, a growing nuisance wildlife control business with offices throughout Texas which s now franchising in various markets across the country. Here is his story, which I think you will find interesting. Don contacted me about five years ago regarding the sale of his nuisance wildlife franchise unit in Dallas-Fort Worth. He had been very successful and was operating one of the company’s largest franchises. Like many business owners, family issues drove the decision that Don and his wife Tammi made to sell their business. They had a son who had been diagnosed with autism. The situation was creating stress in their family, including school problems, health care issues and the overall strain a situation like this can place on a family. Not only did they feel compelled to downsize from their business to focus on their family, they also felt a strong calling to help other families going through similar situations. They knew first hand how hard it is to find services and support and wanted to share what they had learned with others going through the same thing. Mainly because it was during the height of the recession, it took some time to complete the business sale. We became close friends during the business sale process and remained so afterward. We had many conversations about our families and about new business opportunities. A remarkable thing happened, their son “outgrew” autism and no longer shows any signs of the disorder. At the time, I had never heard of such a thing. We all recognized it as a miracle and an answer to the prayers of many, many people, around the country and around the world. With his noncompete agreement over, Don began to consider opening a new nuisance wildlife business and decided to launch it in the Dallas-Fort Worth area. It is called Wildlife X Team. It provides the full range of nuisance wildlife control services including nuisance wildlife removal, exclusion, and damage repair. They have developed a very strong team with a focus on both operations and marketing. They even have a trained zoologist on their team to support the field team with technical issues. Don decided to launch a franchise operation for Wildlife X Team. Wildlife X Team now has locations throughout Texas, Tennessee and Utah with new locations on the near-term horizon. These locations are a combination of company-owned and franchised locations. Their goal is to build the business to be a national player in the industry. To learn more about Wildlife X Team, visit their website at wildlifexteam.com. To learn more about the Wildlife X Team franchise opportunity, click here.